A week before Apple is expected to unveil a giant iPhone, Samsung announced its own new "phablet." The Galaxy Note 4 brings welcome updates to Samsung's Note line, but nothing radically new. A higher resolution screen, a fingerprint scanner, and an upgrade to the latest version of Android are among the new features. 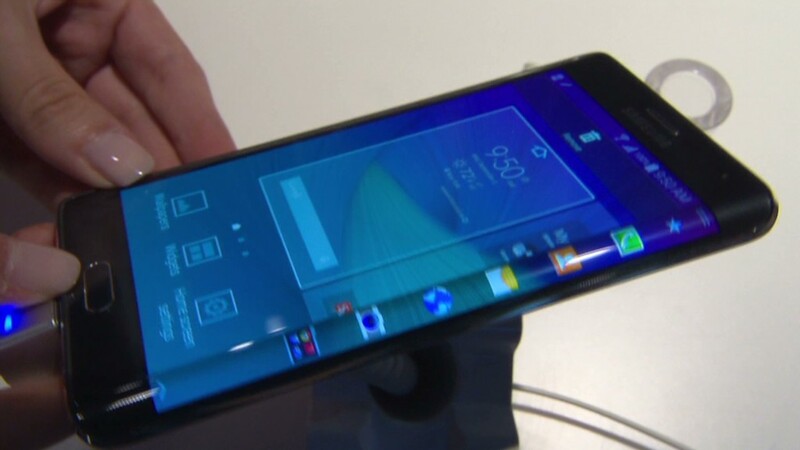 Curiously, Samsung also announced a second version of the Note on Wednesday, called the Galaxy Note Edge. Identical to the Galaxy Note 4 in almost every way, the Note Edge has a curved display that wraps around the right hand side of the device. Samsung, known for its quirky features, hasn't given a specific use for the curved display. The company suggested the extra space could be used as a ticker, a quick-launch bar, or even an alarm clock. Both devices will compete with Apple's (AAPL) rumored 5.5 inch iPhone, expected to be announced on September 9. Samsung also announced the Gear VR, a virtual reality headset that it created in a partnership with Oculus -- the virtual reality company Facebook (FB) bought for $2 billion. Used in conjunction with the Galaxy Note 4, the device is more portable than Oculus' Rift.